It is important for businesses to plan for things such as natural disasters that have the potential to destroy important files and bring a business to a standstill. Filing insurance and disaster-relief claims and recreating a business after a disaster is difficult enough, but without backup copies of the documents you’ll need, the rebuilding process can seem monumental. For a speedy recovery, learn what to do to protect your business records before disaster strikes and then put that knowledge to work. The first step is a disaster recovery plan, but then you have to select the best way to protect your records—electronic storage, or hard-copy files. Store your back-up electronic records on non-proprietary software and strengthen its security with the best virus protection software available. Expect whatever you’re using to become obsolete so have a plan for new software and hardware as your electronic technologies evolve. Make use of email attachments for easy retrieval. Scan copies of all important documents and email them from your business email account to your personal email account and save the email in a clearly identifiable file of important documents. 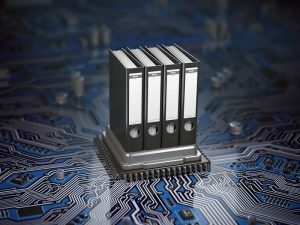 By scanning records, you will be able to access and print these vital records from any computer if your home and office are destroyed or in jeopardy. Add value to this file by sending monthly profit/loss statements, payroll records, sales receipts, and other important bookkeeping files that will become instrumental in getting help quickly in the aftermath of a disaster. It also might be that proving your business’s pre-disaster status is secondary to proving who you are. Be sure to scan copies of important personal documents such as birth certificates, Social Security cards, marriage licenses, divorce records, medical records and prescriptions, personal banking statements, and anything else that proves who you are and what you need to return to life as it was before the disaster hit. It’s likely you’ll have few or no identifying documents after disaster strikes. You will also be working with a long list of support agencies who’ll want you to prove you are who you say you are and that you lost what you say you lost. A great deal of this process of re-establishing identity will take place in remote and/or makeshift conditions without ready access to electricity or computers. Nothing will get you farther faster than paper business records. Keep original paperwork in a safe, secure location away from the office, such as a bank vault or safe-deposit box. Make copies for everyday use at the office, if necessary. It’s also a good idea to store copies in a separate location in a different city or state, if possible, in case bank records are compromised by the same disaster that destroys your office. For storing hard-copy records, consider remote storage in a distant branch of your bank, a subsidiary office of your attorney, or in a relative’s bank vault in another city. You’ll want to make arrangements with a relative, lawyer, or trusted business colleague so that they can retrieve your records as needed in case you are unable to access them yourself. Record Nations provides document and data management services via a network of highly specialized partners nationwide. 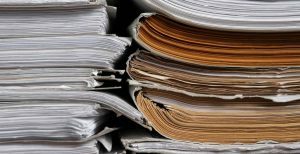 We have over 20 years of experience in document and data management services and will help you select a customized Document Management Solution that fits exactly what you’re looking to do for your company. If you would like a custom quote for your data backup or storage needs. Records Nations has locations all across the United States. To get started, fill out the form to the right, or give us a call at (866) 385-3706.